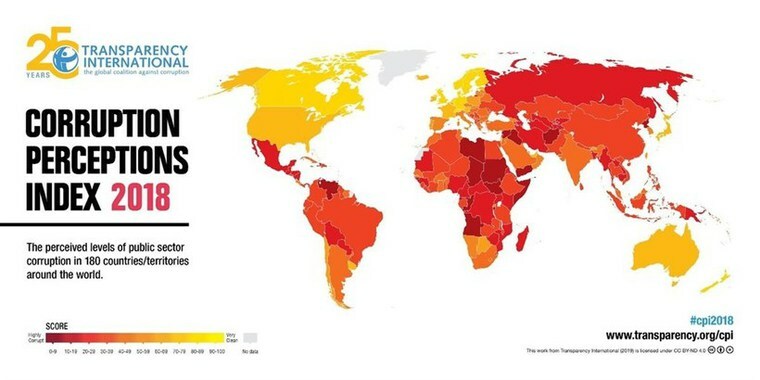 The Corruption Perceptions Index (CPI) measures public sector corruption in 180 countries and territories around the world with a scale of 100, where 0 is very corrupt and 100 is very clean. On the 2018 Index, more than two-thirds of countries score below 50, with an average score of just 43. 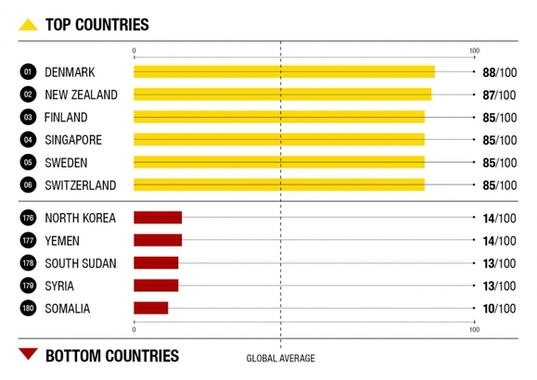 Countries with the highest points (perceptively least corrupted) are Denmark and New Zealand with scores of 88 and 87, respectively. The bottom countries (perceptively most corrupted) are Somalia, Syria and South Sudan with scores of 10, 13 and 13, respectively.